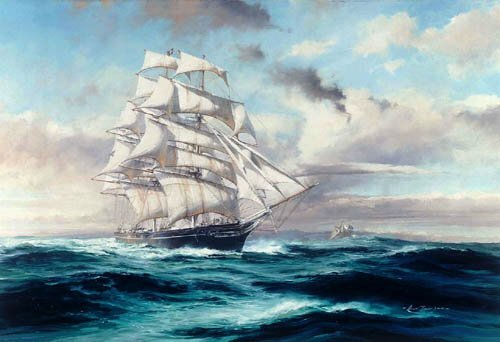 The Cutty Sark sailed the world's great trading routes under the Red Ensign between 1870 and 1895, when she was sold to a Portuguese company. In 1922 she was bought by a Captain Dowman and rigged as a sail training ship. She is now preserved in dry-dock on the Thames River, Greenwich Maritime Museum, London.